This second published Atlas of breeding – and for the first time, wintering – birds in Devon will be a valuable resource for anyone interested in the county's birds. 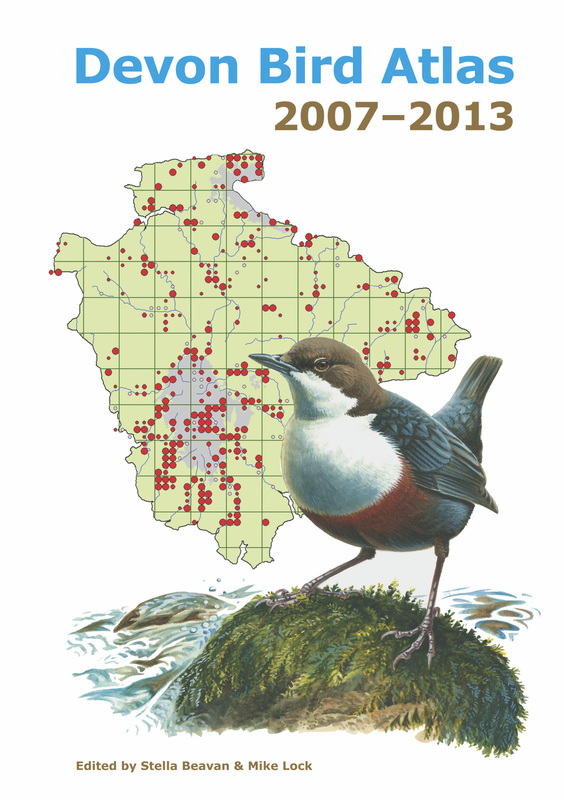 It covers six years of fieldwork from winter 2007 to summer 2013 and contains maps for some 220 species. Price £46.99, or £40 if collected at a Devon Birds event. Special offer – add a copy of The Birds of Devon by MW Tyler and get both for £57.99, or £50 if collected at a Devon Birds event - select under options. 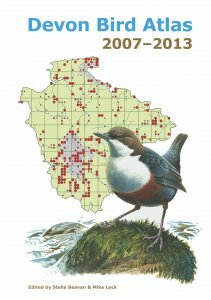 The joint Devon Birds/BTO project ran concurrently with the national Atlas project and, using the same data plus those from two extra years' fieldwork, the Atlas depicts bird distributions in the county at a finer resolution than in Bird Atlas 2007–11. Accounts covering 480 species and subspecies are complemented by sections on Devon’s geology and diverse habitats, as well as methodology and coverage. Full colour maps and photographs. Foreword by HRH Prince Charles. Cover artwork by Mike Langman.